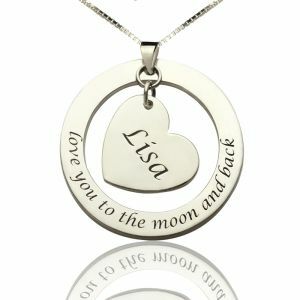 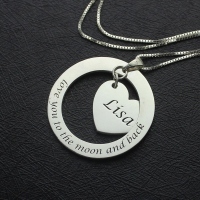 Custom Promise Necklace with Name & Phrase Sterling Silver - This beautiful 'Love you to the moon and back Disc Heart necklace with a name charm is a great gift idea for your loved ones or for yourself! 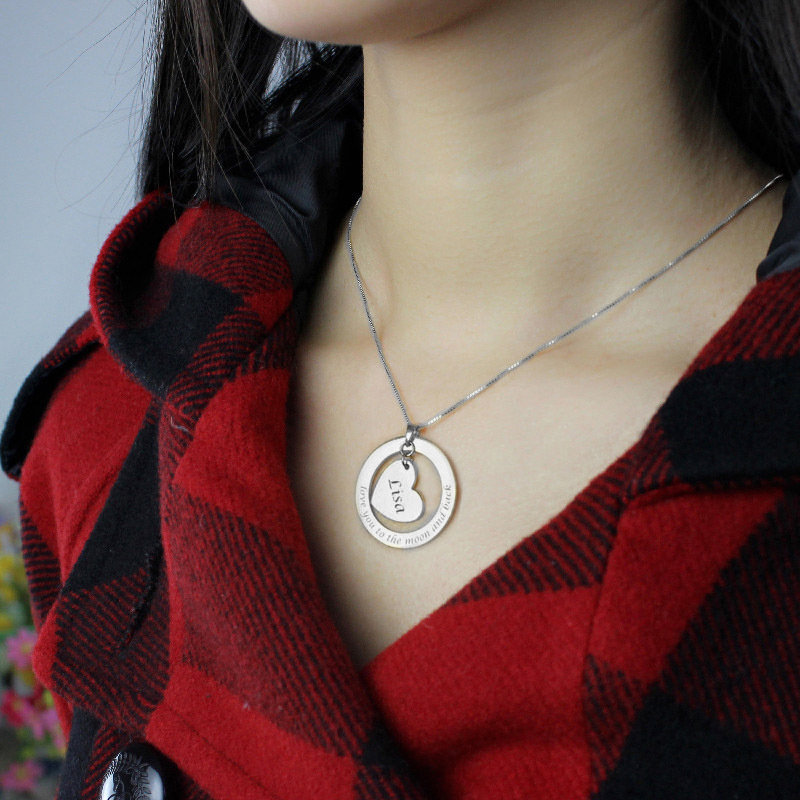 Engraved a name on the middle heart and give the words you want to say in the circle. 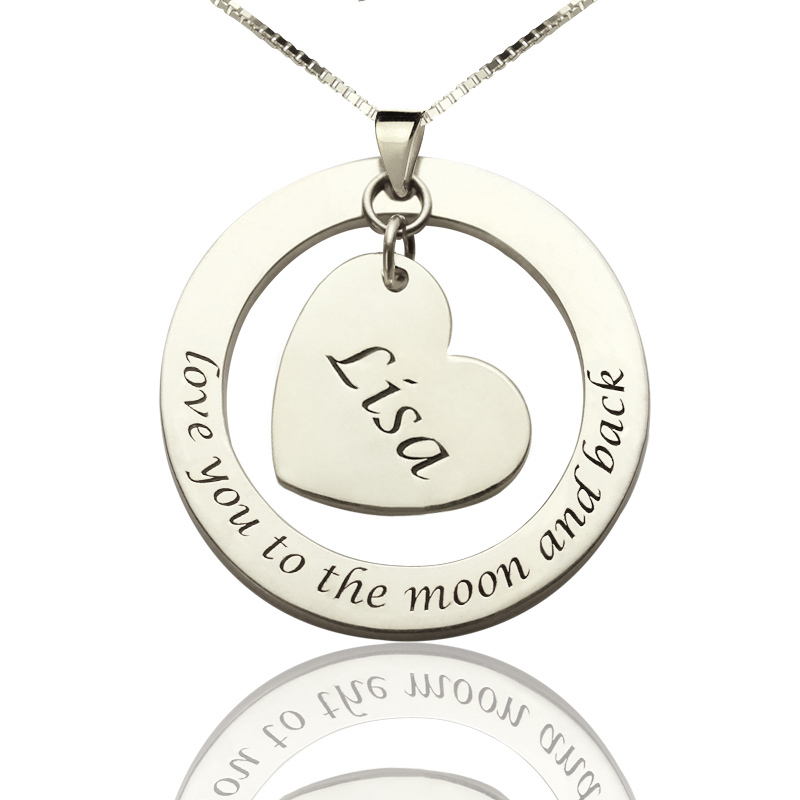 It's a perfect personalized gift for moms, aunts, wives and more!